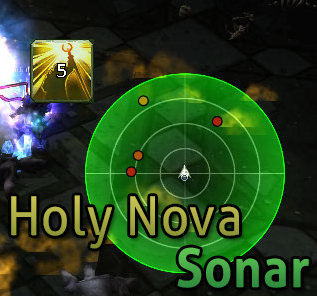 This addon provides a simple Icon or Radar to display how to best position yourself for Discipline Priest's Holy Nova Spell. It'll keep track of nearby player's health pool and your Holy Nova power, displaying how many members are able to receive it's healing with minimal overhealing. As of current build it is optimal to use Holy Nova when at least 5 players will be healed with close to no overheal. Hello, i'm really enjoying this add on. I've only had one issue with it: when i set the icon to show/hide in cobat/out of combat, it seems to disable the icon. functioning fine on the sonar part though.